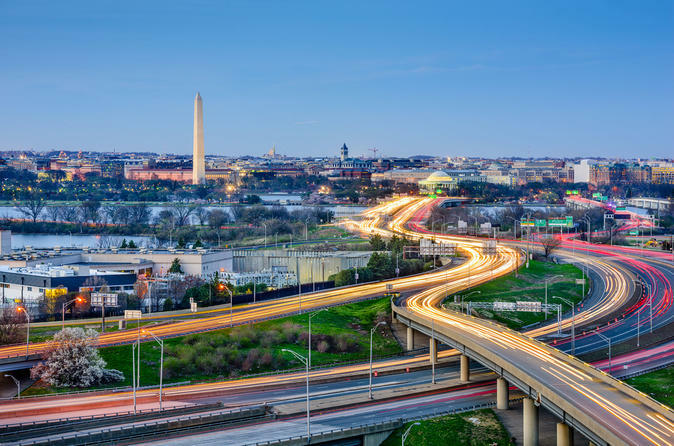 Take advantage of your visit to New York by going on a day trip to the nation’s capital, Washington, D.C., with the option of visiting one of the world’s most famous structures: the U.S. Capitol. This tour includes transportation from New York, as well as a guided tour of the city’s key sites. You’ll have plenty opportunity to take photos of the many attractions, and monuments along the way. If you have chosen the option that includes tickets, you will have access to the Capitol. If you’re looking for something a little more economical, you can choose to enjoy a walk around the Capitol grounds for photos, or a short visit to one of the Smithsonian Museums nearby. Afterwards, we will continue walking through “the National Mall” where we will visit the Lincoln Memorial, the Washington Monument, and the World War II Memorial, overlooking the Rainbow Pool. The Memorial is dedicated to the over 400,000 American citizens who died in the war. We will see the famous FBI and the Federal Reserve. After lunch, we’ll have the opportunity to see more of the city with a short visit to the Air & Space Museum. In the afternoon, upon returning to New York, you will enjoy wonderful views of the city skyscrapers, and if time permits we can stop to take pictures. Special Offer - Book by September 30 to save 10% off our previously offered price! - Book Now!